"No-one gets past me. If they know what's good for them." A formidable defense shield. 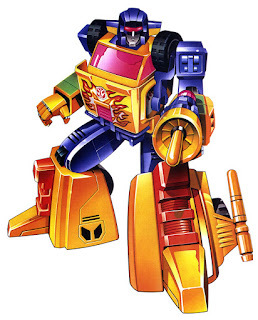 Fiercely loyal to the Autobot leader and courageous to the point of recklessness. Is proud of his position in the Autobot ranks and enjoys teamwork. As vehicle, central turbine provides super defense power. As robot a formidable turbo-shielded presence.